Contributing to strengthening skin and increasing elasticity is exactly what our moisturising miracles set out to achieve. We aim to cover every inch of your body with the same amount of care and attention to help improve resilience and intensely hydrate. A little goes a long way with these moisturising miracles so be prepared to have glowing and strong skin! 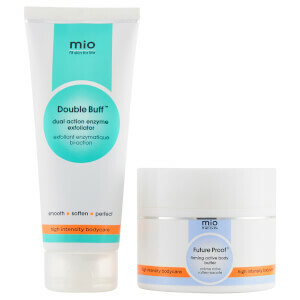 Our moisturising miracles may help to replenish dry skin, while retaining skin elasticity for long-term suppleness. Ideal for sensitive skin, our Omega rich formulas can improve skins appearance and strength. This active body oil is jam packed with powerful, nourishing ingredients to lock in essential moisture that skin may crave. The Activist is the ultimate oil that works to restore skins vitality and may help to improve uneven skin tone appearance. The Activist is the one product that we just cannot live without. It can rapidly hydrate dry skin, so now you can look and feel gorgeous at any time of the day! Top Tip – Apply as soon as you jump out of the shower to help lock in moisture! Smother your body in our Future Proof Body Butter and to help improve the appearance of dry skin and create an all over glow. The deliciously thick body butter is gorgeously fragrant and deeply moisturising. 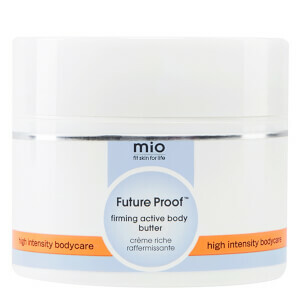 Rich in nutrients and heavier than a cream, the over-achieving body butter invests in your skins future – hence the name. 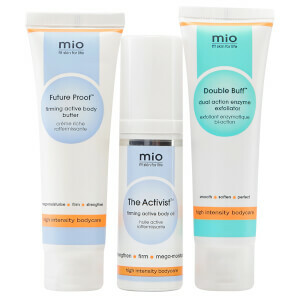 We are in it for the long haul, so join us on your Mio journey and reap the benefits!